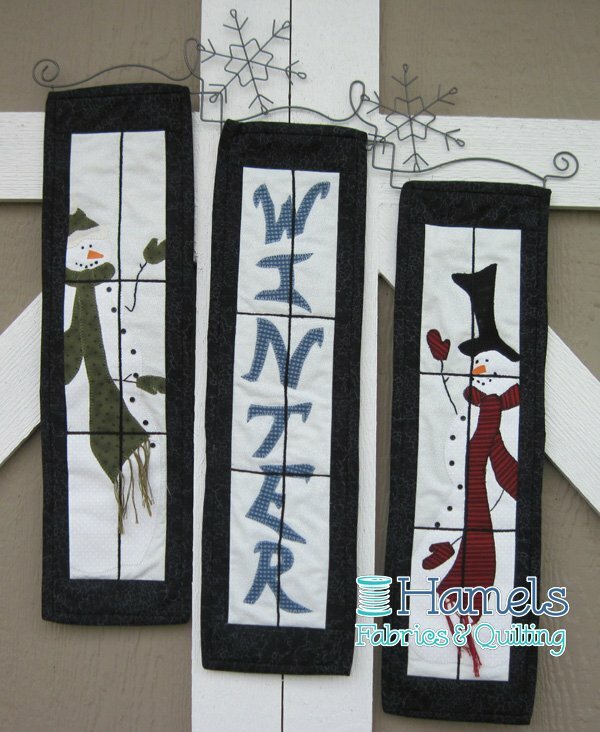 A wonderful trio that will add to that winter theme in your house. Kit includes fabrics for the top, binding and backing for 3 individual wall hangings and a pattern for each. Plus embroidery floss and button pack. *Fabric in the kit may not be exactly as shown in the photo.